Description- The Taste... Natural, Pure & Fruity. Pure Green Tea expertly blended with the flavour of real lemons to deliver an uplifting tea with an invigorating aroma and fresh lemon taste. What We Think- A Twinings green tea in all its purity, coupled with an amazing Lemon infusion, a must try for the avid green tea drinker. 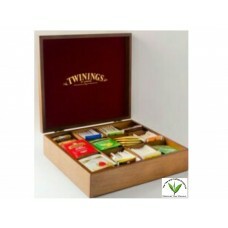 Green Tea Should be steeped for between 2-3 minutes with water at around 90 degrees.